The Holland Willows is a great place to enjoy a casual meal, a special occasion, or a first class reception or banquet. Our restaurant features nightly specials and signature favorites. The Holland Willows’ offers selections from some of the finest vineyards, or choose from over 27 imported and domestic draft or bottled beers as well as a fully stocked bar. We accommodate small and large parties, banquets and weddings in one of our three well-appointed rooms. For those warm summer nights we can offer a beautiful, landscaped outdoor patio and a deck to relax on. If you need us to come to you, we provide superior catering services. If a wedding is in your future, our bridal packages are designed to make planning your reception one of the easiest jobs you’ll have. 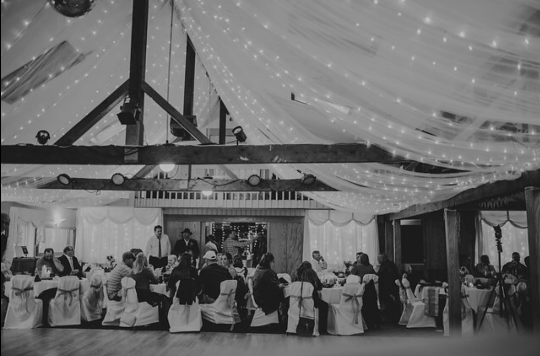 Contact Brigette Kelley at 537-9070 to book your reception today. You’re in good hands with Brigette! Let the Holland Willows make your special occasion a day to remember!